Help! I’ve been NaNoWriMoed And I Can’t Get Up! I’m doing NaNoWriMo for the first time, and I can’t tell yet but it could be awesome. I’ve never written anything before, so I have nothing to which to compare my experience. I’m just one of those naive persons who believes that because they love to read that they would also love to write a book! Cue the maniacal laughter right about here. I’ve wanted to do NaNoWriMo for some time, but never seemed to think about it ahead of time. I would then be jealous of those who were paying attention when it started and got to participate. This year, about October 25th, which is by the way my birthday, I experienced one of those electric moments of clarity that sometimes come my way, a moment in which the way forward was very clear. Perhaps the decision came more easily because I turned 57, but whatever the origin, the thought registered in my brain. I WILL do NaNoWriMo, I declared. And preparation be damned! I am a whopping 9000 words in, and mired in deep philosophical and structural questions. First, what were the names I gave those characters a couple of pages back? Were they Craig and Cindy? Or did I change them to Louis and Fran? Second, do the names Louis and Fran even sound believable? Would someone named Fran, dressed in a tartan plaid skirt and knee socks,speed down Montezuma Highway with a stolen cocker spaniel named Guido in her car? Or does that sound stupid? Also, has anything I have written so far ever happened before in any other written work since the dawn of time? Because I want to be original here in this off the cuff work of genius I will create in only thirty days. Inbox me your answers! The suspense rises for me as I struggle to write some some number of made up sentences each day. An addition to the creative milieu is that I absolutely cannot type. It is true. In the olden days when girls took typing in high school, I was too vain to cut my long nails as would have been required. I wasn’t going to be a secretary, so who cared? As a result of my foolish choices, I am hunched over a keyboard now, having to stare at the letters, which one is not supposed to do, and not the screen. I will feel a spark of inspiration, type like crazy while thinking, ” I’m typing more quickly than ever with two fingers. I’m finally getting the hang of it.” only to see that the cursor has gone cockeyed and set my words down two paragraphs up from where I wanted them. So I erase. So I redo. So I cry. 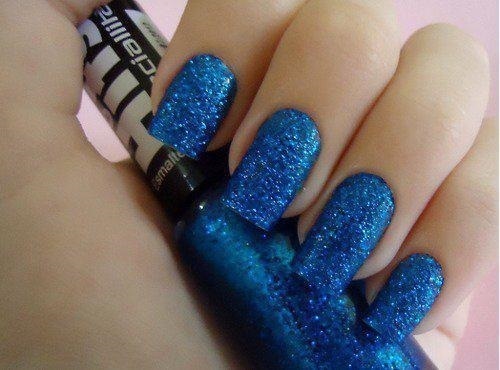 I was way ahead of the curve with nails like this in high school. Still, though, every time I go back to the computer and pull up my story, there it is waiting for me, like a loyal but not very bright Labrador Retriever: ungainly, wriggly, unkempt, but enthusiastic. And when I have written as much as I can manage at a sitting, I scroll back up, surveying the big mess I’ve made with an inordinate sense of pride. To be sure, it is full of typos and errors much more egregious than that, but I’ll get to those in time. Writing itself can never be an error. One helpful thought is that NaNoWriMo has its own set of “Life Alert” buttons: local groups, write ins, research and writing help forums, and pep talks. I haven’t taken much advantage of that because, um, I’m busy trying to invent a novel, but knowing the help is there is encouraging. Also there is L., a lovely lady at my gym is is NaNoing for the third time this year, and who appears sane, which speaks well for the experience of NaNoRiMo participation. Her advice is not to have unreasonably high expectations for myself. Since I have none at all, except to reach the 50,000 mark, I think I’m okay in that area. I guess that’s all I have time to say about NaNoRiMo right now. If you don’t seem to hear as much from me this month, now you know why. Feel free to check on me if you want. I’ll be in the backseat of Fran’s car, hurtling down Montezuma Highway, holding on to a stolen cocker spaniel named Guido. 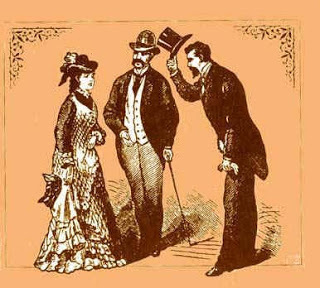 We are big on manners in the South. Any child over the age of 18 months knows to pepper all their adult interactions with, “Yes Ma’am” and “No Ma’am.” We greet each other in the street, very briefly if we are strangers, but still, we acknowledge one another’s presence. And if we are acquainted, woe betide you if a prompt thank you note for your graduation gift is not winging its way to my house. Centuries of these ingrained practices has resulted in a population that worries excessively over manners and social graces. Did your child remember to thank each guest at the end of his birthday party at Chuck E. Cheeses’s, where the noise level was above OSHA regulations, and two kids actually wound up joining someone else’s party? No? Well, somebody’s noticed that little omission, for sure. I know Southern etiquette pretty well. But now I must meld those mores with that of blogging and WordPress. And awards. I am thrilled to be chosen for awards. If one accepts an award, one is to choose other worthy recipients, which seems pretty friendly and Southern to me. So what’s her problem, you may wonder. The problem is, how do I know others want awards, in that they will be required to take action themselves in order to accept? Is that like asking someone to wrap their own birthday present? Is it like not having a butter knife at the table? On the other hand, if I assume someone has zillions of readers and followers, has moved on to the big leagues and is about to become the new Pioneer Woman, and I leave them out, will I be committing the absolute worst of the Southern No Nos, HURTING SOMEONE”S FEELINGS? Dilemmas such as these, my friend, are what make Southerners move so slowly. We try to blame it on the heat, but that’s not it. Drawing each word out into several syllables actually gives us more time to scan the room and make sure little Stevie gave up his seat to Aunt Edith and that no one dares to try to wash their hands at the kitchen sink. It’s a hard life. Today, friends, I am venturing outside my comfort zone, because I have been given an award and I am going to accept it. The real test of bravery will be passing the award on to ten bloggers WITHOUT KNOWING IF THEY WANT ONE. That’s right. That’s how I’m, gonna do it. Wish me luck! krug the thinker, who is also my precious daughter. She is a born encourager; just have a look at her blog about her creative life. You’ll believe YOU can do all those things as well. The Waiting. – This family, parenting, life and coolness bloggess is in the big leagues now, but her encouragement made me believe I too could start a blog. Tip of my Tongue – Honest, incisive posts about life issues, plus poetry. City Jackdaw– Because it’s nice to follow a blog by an Englishman. The Belmont Rooster- Down to earth adventures on the farm, plus tons of useful plant information. Are You Finished Yet? A little further along on the parenting journey than the waiting, with stories that tug at your heart and make you laugh. A little Blog of Books and Other Stuff – Helpful book reviews, and just what you’re wanting to know about this year’s Booker Prize winners. The Accidental Cootchie Mama – Her blog has a friendly welcoming vibe somehow. Like all the others above, you know if you met her you’d like her. Lynne Revette Butler– hasn’t written much lately, but her photos are to die for. Harsh Reality – Harsh draws readers in with his provocative, thought provoking questions. Drop in if you like debate. 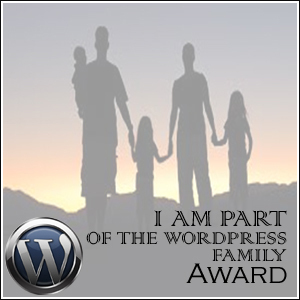 Thank you to all who have welcomed me at WordPress. I appreciate your hard work, creativity, and encouragement. I hope I didn’t hurt anyone’s feelings, and thank you all for coming!